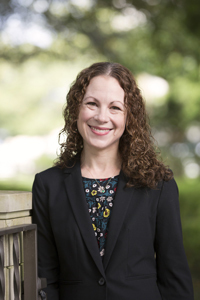 Mandy McMichael joined the Religion department at Baylor in the summer of 2017 after five years as an Assistant Professor of Religion at Huntingdon College in Montgomery, Alabama. Her current research focuses on the intersection of gender and American religious culture as it presents itself in beauty pageants. Her book examining religion and identity in the Miss America Pageant will be published by Baylor University Press. McMichael is an active member of several professional societies including the National Association of Baptist Professors of Religion, the American Academy of Religion, and the American Society of Church History. She is also an ordained minister in the Baptist tradition who has served in a variety of ministry roles, most recently as the organist at Pintlala Baptist Church in Hope Hull, Alabama. McMichael and her husband, Chad Eggleston, have two children. Miss America’s God: Faith and Identity in America’s Oldest Pageant, (Waco, TX: Baylor University Press, forthcoming). “Engaging Primary Sources.” Teaching Theology and Religion, July 2017. “‘An Opportunity to Aid in This Good Work’: Power and Agency in the Ann Hasseltine Missionary Society” Baptist History and Heritage Society, Spring 2006, Vol. 41, No. 2. “Educating Baptists: The Legacy of Basil Manly, Jr.” The Pacific Journal of Baptist Research, April 2006, Vol. 2, No. 1. View Dr. McMichael's CV here.